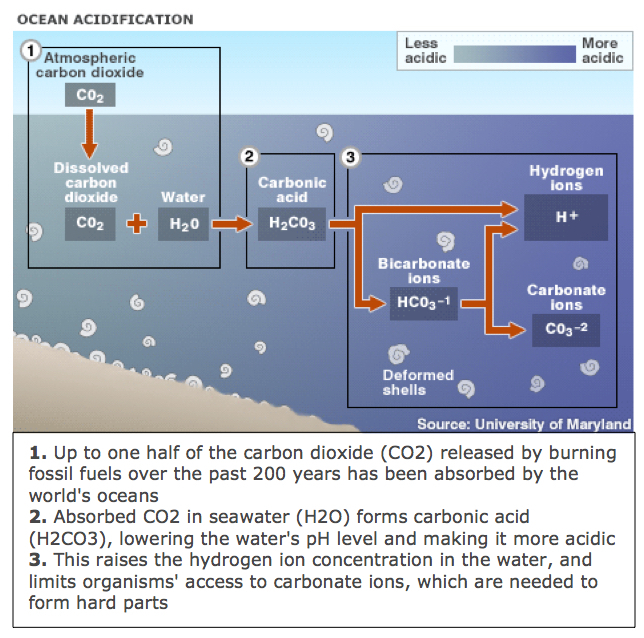 The CO2 in the water, which leads to the formation of carbonic acid, has caused the pH of surface oceans to fall by 0.1 units, and it is projected to fall a further 0.3-0.4 pH units by the end of the century. The shift in the waters’ chemical make-up not only increases its acidity, but reduces the availability of carbonate ions, which many creatures use to build shells and skeletons out of calcium carbonate. Commercial and recreational fishing, tourism, the protection of shorelines by carbonate reefs—all could be harmed by ocean acidification that is already well under way. Not to mention the hard-to-quantify-but-significant cultural and lifestyle changes that communities will have to make to adapt to changing marine ecosystems. 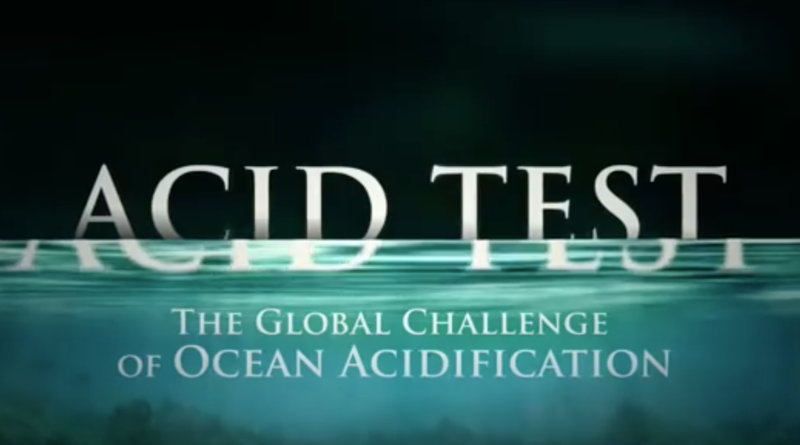 In other words, ocean acidification is not just a problem for marine life. It has the potential to change the way humans feed themselves, earn their livings, run their communities, and live their lives. Coral reef areas can also be negatively impacted by ocean acidification. Alteration of the reefs will change fish populations and regional productivity, as well as exacerbating coastal erosion drivers. Impacts that decrease harvests by small scale fisheries have the potential to reduce food security and worsen food distribution inequalities that already exist in the region.